Neo XYX will be a nice title to tide me over this summer for the real deal - Ghost Blade teaser trailer up. Suggested release is Winter 2013. Screenshot of the packaging (from the trailer) - I like the look of the LE, it should fit in well with the colorful manga-like Gunlord LE cover. Last edited by Jinx on Mon Aug 27, 2018 12:46 am, edited 2 times in total. Last edited by Jinx on Mon Aug 27, 2018 12:45 am, edited 1 time in total. Not an update as such, but related content (apologies if my post is in the wrong part of the forums). I came across this a few weeks ago when I was looking into other Hucast related custom builds & items. The work is by a French gentleman called Oskunk. Unknown if this was / is for sale (or perhaps a commission build). ... I do think it's a pretty sweet setup. Cool. Hucast is selling a Dux themed DC with art by Oskunk (for like $1000 usd). 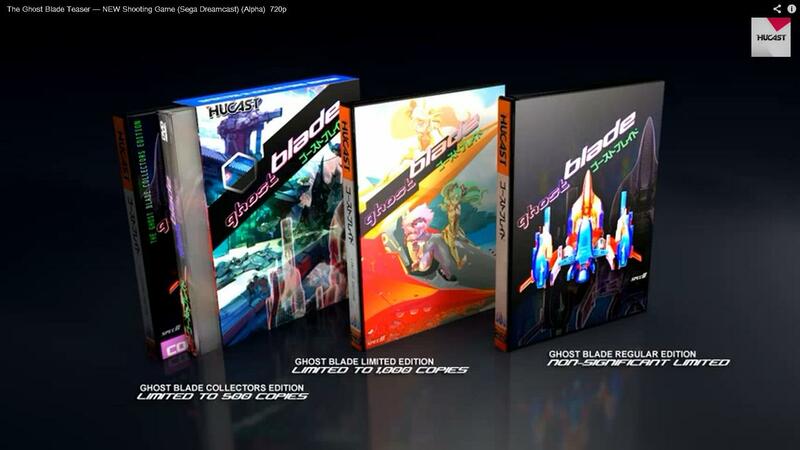 I'm sure we will see this offered for sale soon as well, for the promotion of Ghost Blade. Has anyone pressured Hucast via email yet to find out if the release date of TGB will be postponed? and when to? They said more info will come in January after Redux is sorted out. That makes sense, for awhile they were getting nasty comments about putting otu too many projects at a time. Needless to say, it ceertainly won't be out in 2013, as was originally suggested I think - BUT, I believe Hucast has outsourced the programming for this game, and the game has been worked on all this past year ... so when they show some new media in Janaury (first new media since last spring!) there ought to be some good new scenes of progress to see.